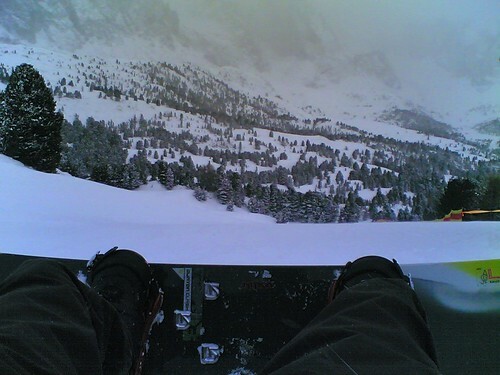 Posted on March 25, 2007 .
from the top I can snowboard down to the village of Ortisei on a 9km ski run, among woods, frozen waterfalls and through narrow ravines. It’s one of the longest ski runs in Val Gardena and in the Dolomites (cameraphone photo).